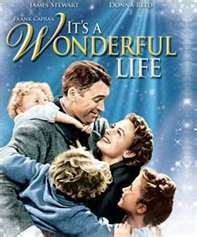 Every year during this time my family has watched the movie “It’s A Wonderful Life” and every year I tear up at the end when all the people come in to help. I know you’re familiar with the premis of the stoy but as a reminder, George wonders what it would be like had he never been born. Do you ever wonder that same question? I think being a wife and mom, we sometimes feel unappreciated; we care for the husband and kids, we taxi them around, we make them meals, and some of us even throw a job outside the home into the mix. It is in those moments that I sometimes wonder, what if I couldn’t do any of it. In the hospital after my first surgery for my cancer, my doctor told me that my prognosis was bad and he was not confident in my future. In the moments alone, I wondered what my family’s life would be like without me. Believe it or not I started getting angry at my husband just thinking about what he wasn’t going to do for the kids, no driving, no lunch making, no dance class, etc…can you believe it? I was thinking that? I also wondered what my kids’ life (who were 5,7, and 10 at the time) would be like without a mother. It was so sad and overwhelming I had to stop my thoughts in their tracks and turn them around for the positive immediately. From then, the cancer has come back a few times and every single time I fight those same thoughts. During this same time and even now, I have had my own ‘Wonderful Life’ moments. So many people from my past and present sent cards and made meals, one old friend who I hadn’t seen in at least ten years even offered to fly here to just sit with me. I was again overwhelmed. So, like in the movie, our lives matter. As a mom to younger kids they’re need for us is apparent; but as they grow and get more independent, they’re need seems to lessen, but they still need us (trust me, I’m 40+ and I may not say it all the time but I still need my mom and I’m fortunate to have her close by). On the other side, I was stunned by the people who reached out to me during those difficult times. We may not know who or when we impact someone’s life, but we get a new chance with every interaction. I’ve said this before, but every single interaction we have daily leaves some type of impact or impression, wouldn’t it be great if it was a positive one? You never know, so watch your words and actions because they are powerful and people remember. Today I’m still wearing red because of the holidays so I choose Ultraflesh lipstick in Spark. It is a matte cherry red lipstick with an amazing name…be the spark that lights someone’s life. Merry Christmas, Happy Holidays!! The power of words and the power of the mind, both so clearly laid out here. Great job. A reminder to each of us that we cannot control the words others speak, only our own. What we can control is how our mind holds or releases hurtful words. If we are choosing to be happy, letting go of hurt and choosing our own words wisely will allow that to happen. Thank you, you are so right. We are responsible for ourselves, our words, and our actions! I love that movie… and Clarence’s line is the best part of it. Although my kids are all adults, I’m still a part of their lives and wish my mother could be part of mine. Joyce, There are so many great lines! Your kids are lucky to have you around! I know I’m lucky my mom’s close by! oh and EVERYTIME i go by the lipsticks at any store..lolol i THINK OF YOU!! MUAH!!!!!! Brenda, thank you for the best compliments ever! That’s so funny about the lipstick…it was bound to happen! So very true. Sometimes we get caught up in our minds we don’t realize what a difference we make to others. I love that movie too, but I am also a lover of all versions (the good, the bad, and the ugly) of The Christmas Carol. Happy Holidays to you too. Love red lipsticks, too. Thank you Brenda! I love your writing and wear that red! You have such a wonderful outlook on life…smart, sweet, innately wise, and loving. I’m not surprised that when you are in need, you find yourself surrounded by warm, helpful, willing hands and hearts. That’s a little bit of your goodness, coming back to comfort and sustain you, and it is such a beautiful thing. Beth, Thank you so much for your incredibly kind words! This is my first reading of your blog since my return to GBE2, you sound like a wonderful, positive person and I’m sure that the lives you’ve touched are brighter for that. Thanks Pam! Welcome back to GBE2, can’t wait to read your stuff!